The future of Kehilat Gesher, a synagogue dedicated to inclusivity and religious pluralism, depends on the support of open and caring individuals like yourself! We hope that a significant portion of your 2018 donations will be for Kehilat Gesher. Any contribution, no matter how small, is appreciated. Your donations will help support KG’s many activities, both cultural and spiritual. But above all, helps us make the “little” synagogue that you love become a “big” synagogue with a dynamic and lasting future. You have until December 31 to make a tax deductible donation on your 2018 income, or on your corporate income, if you are a company! For those who pay taxes in France: with the CERFA form that you will receive from KG, you can deduct 66% of your donation from your income tax, for up to 20% of your income. For example, if you donate 380€, you can deduct 250€ from your income tax, so your donation will only cost you 130€. If you pay taxes in the US, you can donate through KG USA to receive the appropriate tax credit (see below). D) If you are subject to IFI, you can reduce your tax load and help our communityby sending your check to the order of “Fondation Maayan” (Fondation Maayan / FJF – 72, rue de Bellechasse 75007 Paris). 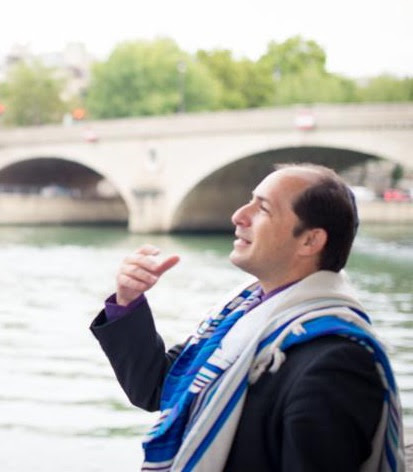 The Foundation of French Judaism, which houses the Foundation Maayan, will send you a CERFA. Please also send a note to Rabbi Tom (rabbi@kehilatgesher.org) to insure that we are aware of the donation and can benefit from it.